Due to increased morbidity and mortality in pancreas cancer, it is necessary to find new methods of population screening. Elevated plasma levels of CA 19-9 antigen is a nonspecific warning sign for pancreatic cancer, an aggressive cancer which is very rarely diagnosed in the early stages. Although the identification of the presence of CA 19-9 antigen has a low sensitivity and specificity and frequent false positive results, clinical detection of CA 19-9 levels in human serum would be an advantageous strategy for increasing the effectiveness of treatment protocols for pancreatic cancer. Several techniques have been developed to detect CA 19-9, such as the enzyme-linked immunosorbent assay (ELISA technique), electrochemical determination on the stochastic sensor and immunohistochemical determination in pancreatic tumor tissue. The aim of this review is to describe those methods and their importance for CA19-9 determination. 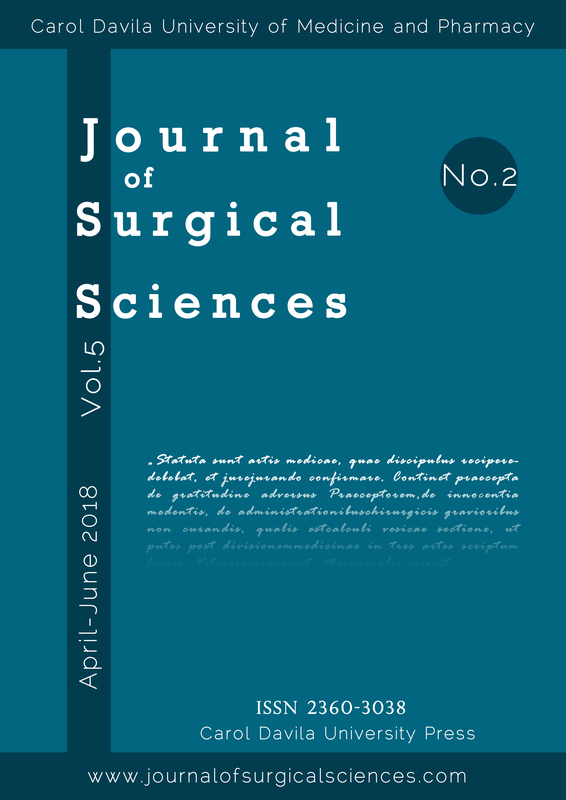 I. Turcan, O. Ciocărlan, S. Grădinaru, A. Dumitru, F. Gherghiceanu, and S. Oprescu, “TECHNIQUES FOR DETERMINING CA 19-9 IN PANCREATIC CANCER - A BRIEF REVIEW”, JSS, vol. 5, no. 2, pp. 113-116, Nov. 2018.